It’s baseball season!!! 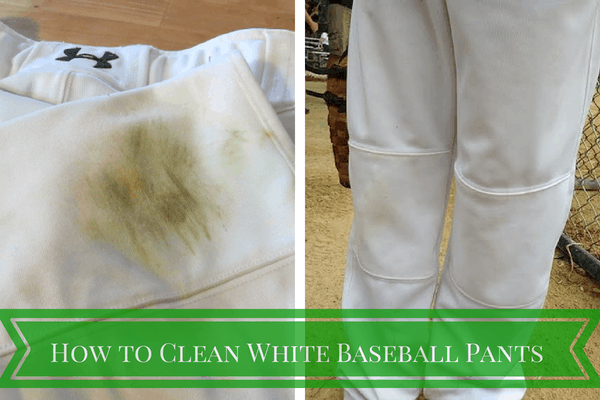 My son has been playing baseball since he was five and it’s taken me this long to find a great “how to clean white baseball pants!” Until now, nothing has worked. I took the picture on the above left after one of his games. I sprayed the magic solution on all of the stains and let the pants sit for a bit. Then I sprayed again before I dropped them in the washer along with our regular DIY Laundry Detergent. When I pulled them out of the washer, I was a bit disappointed that I still saw some of the dirt. I still put them in the dryer figuring that nothing else has worked so this was it. But low and behold, when I took them out of the dryer, they were clean! Woot! Of course we were heading off to another game right away so I quickly grabbed a picture after he was already wearing them. 😉 That’s the above right. He had already started getting them dirty again but look at those knees. Grass and dirt stains are GONE! That’s it. Just spray liberally on the stain and wash or wipe off if it’s not washable. 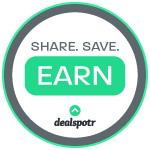 Make sure to test a spot before using if you’re unsure. Store in dark place ie: under the sink, in a cupboard so that the hydrogen peroxide keeps. Good luck! I hope it rids you of stains! I am actually shocked! I am always looking for a product that will take out stains on my boys clothing. Awesome we have had a lot of ball pants to clean. My son is starting his junior year in high school this year and been playing since he was four pretty much year round. Will have to try this magic potion thanks Dawn. Yes, I hope it works for you! I’m going to try it on other stains around the house too. 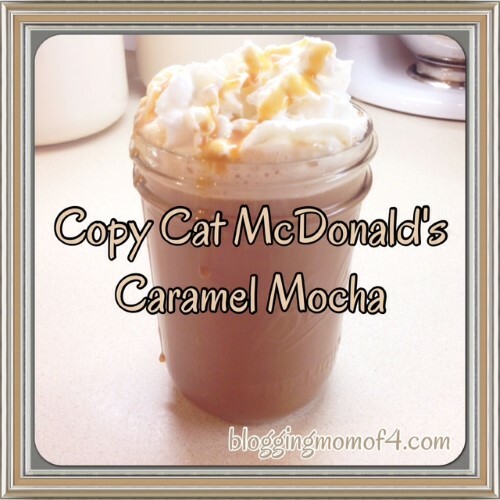 Thanks for sharing I tried this today for the first time this works !!! Pants look brand new again!!! Awesome! I have needed this for awhile… the boys stain stuff constantly out in the grass! Many seasons of football, baseball, softball, soccer, and maybe another sport in there somewhere – a couple of athlete kids and coaching for a lot of years — Lestoil… works first time, every time — take about a cupful, spread it on the grime areas, let it sit for 5-10 minutes, and wash the uniforms in a reasonable load of wash. Works every time… I think it has turpentine (sap from pines) in with the soap. I get it at the hardware store. I am a firm believer in Lestoil & oxyclean… Lightly rub the Lestoil on the dirt soak in hot water & oxy clean.. My boys have the whitest pants on the field! Pretty good Momma! I just had to see what you did to get that very green stain out. I guess I have no excuse now to not treat stains, lol. Thank you so much for linking up at the Laugh & Learn. Hope to see you next week! 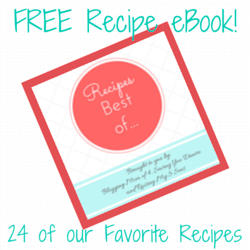 You’ve been featured as one of my favorite posts from last week! Thanks for sharing and hope you’ll share with us again at #WeLoveWeekends! I’m so glad my son has black pants this year! 🙂 Great tips! Thanks for linking up at Women With Intention Wednesdays! Have you tried this solution with any other detergent or only your homemade detergent? 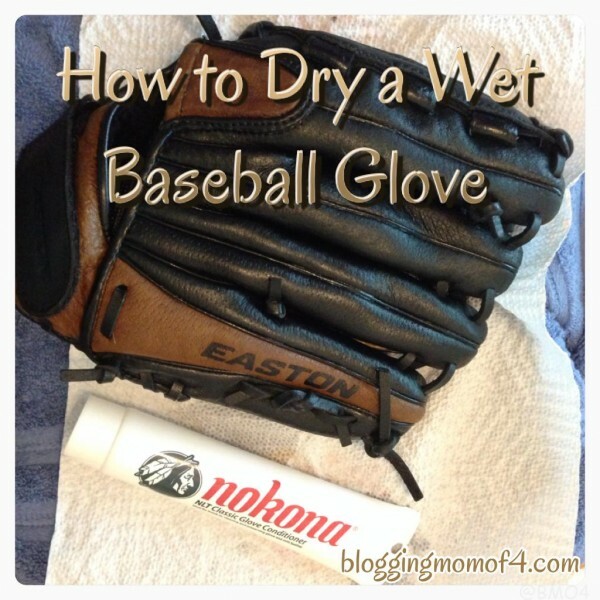 I have to think some of the ingredients in your detergent are helping as well, because I find that Borax and a Fels-Naptha bar really help in getting our sons’ baseball pants clean. Would love to know. At this point, I just get them as clean as I can and let them go. With 3 boys playing baseball, that’s the best I can do! Yes, I’ve used a non-homemade detergent as well. I hear you… sometimes I just don’t even wash between games. One can only do so much! Is it safe to the Fels-Naptha bar on colored material? My son got some kind of food stains on his light gray jeans and he scrubbed it with Dawn but it didn’t come out — THEN he ironed them!! (smh) So I’m hoping something will help get the stains out or at least some of it. Thanks! Sure, it should be fine! just checking…no water in the magic solution, right? Take them to the car wash and power wash them. Works great! I will need to try that!! Tried car wash didn’t touch it! This is great! I use it all the time! My son is the catcher on his team so he gets super dirty. I was a nervous wreck after paying $50 for the Nike pants and them looking like crap after the first game that I went to Pentrest and started looking. Thank goodness I found this!! Also, he had a nosebleed one game and had blood all down the leg. I forgot to spray them when we got home, and he had a game the next day so we just wore them again because being a working mom and my husband is a police officer, we can never get laundry done, so we wore the same pants to the game again and to practice the next day! So, on the 3rd day I sprayed them and let sit over night and washed in warm water the next morning and…..SPOTLESS!!!!! After liberally spraying on the solution, can you throw the pants straight in the washer? Is the Dawn ok in the washer? And if so, would you need laundry detergent or no? 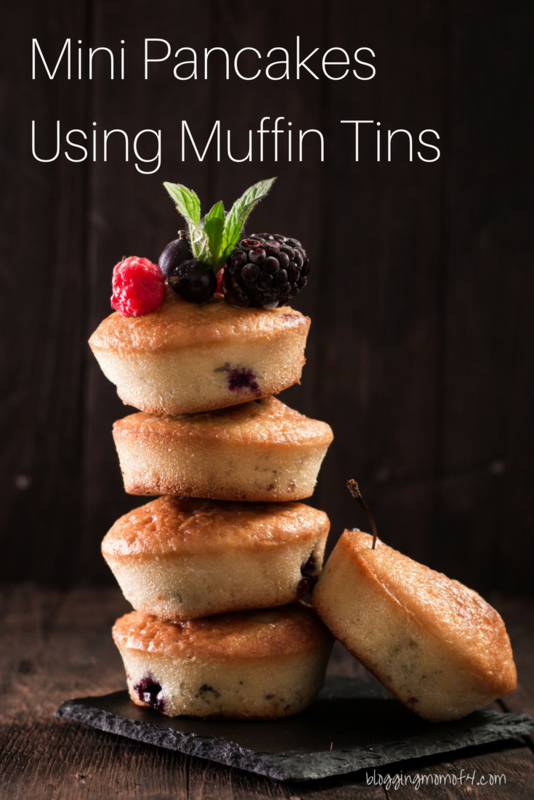 Yes, you can put them right in the washer or let them sit for a bit and soak in. I still added normal amount of detergent in. I wash a full load of whites when I wash them. I just scrub Fels-Naptha onto all the stains. Doesn’t take much effort. Soak a bit if needed. Curious if anybody has tried this on gray (or any other color) pants? I have not tried on any other colors. Although I believe this is one of those universal “magic” cleaning solutions that I’ve seen others suggest for carpet stains, etc. I’d just test in a small spot and make sure the peroxide doesn’t bleach. So I’m wondering if this would work with gray pants as well? 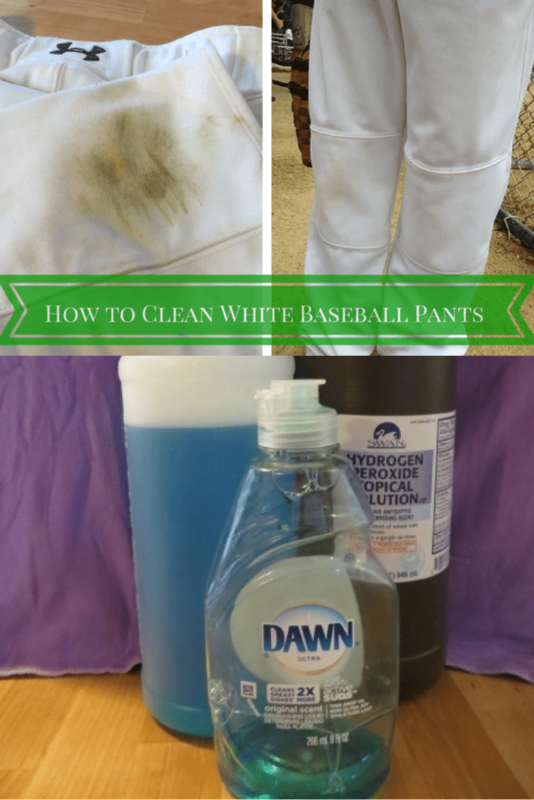 I too use the car wash to clean my sons white pants (just attach them to the car mat hanger) but for the days we are out of town for a few games thinking the peroxide and dawn would be a great alternative… Will have to try! Thanks! How long do you let it set for? Or did I miss that part? I would give it 15-20 minutes. You can always repeat if it didn’t come out the first time. Maybe soak longer. Hope to see more about this! Nice post. Thanks you so much! My son plays cricket …we are from Trinidad in the Caribbean. I will def try this on his white pants and socks. Alot of the other things ppl say they use are not available here. But dawn and peroxide are. I am excited to try this. My son plays a sport Monday to Saturday…so l’m always doing laundry! 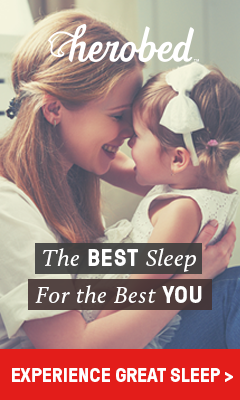 Thank you for sharing this wonderful tip. Very easy to do. I am going to have to try this. Thank you for the help.